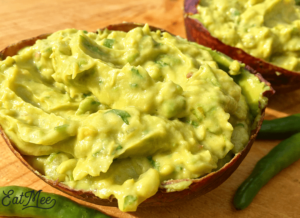 If you’re an Avocado lover then this Classic Guacamole is what you need! 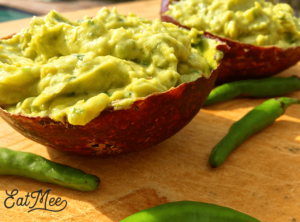 Instead of the plain old Avocado, why not pimp it up by adding a few other ingredients & show off a bit with your new Avocado twist. 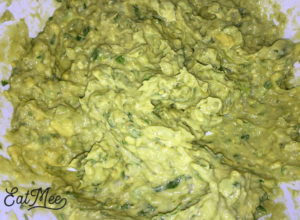 Guacamole, often referred by the North American’s as “guac” is an avocado-based dip, spread, or salad initially created by the Aztecs in what is presently Mexico. 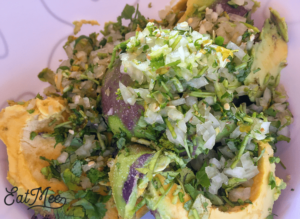 Notwithstanding its utilization in present day Mexican food, it has moved toward becoming piece a part pf the American cooking. 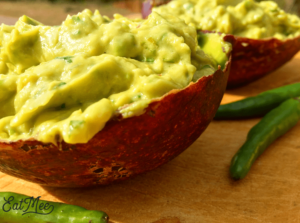 Many people add tomatoes to their guacamole & by all means you can too. I prefer my guacamole without the tomatoes as the tomato juice tends to split the guacamole & make it runny instead of compact. 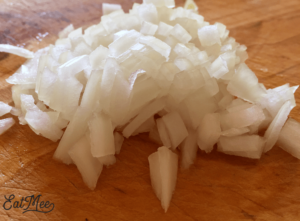 Firstly, finely chop the onion. 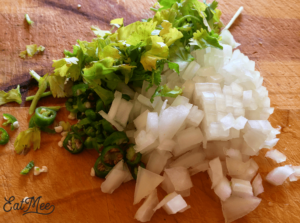 Rinse & chop the green chillies. 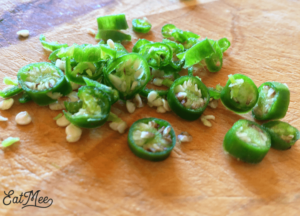 Other chillies may be used such as habenero or jalapenos. 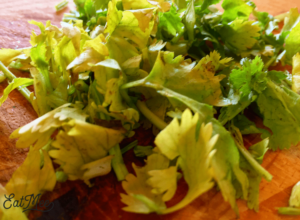 Roughly chop one handful of the dhania (coriander). Next, combine the above ingredients, preferably on a chopping board. 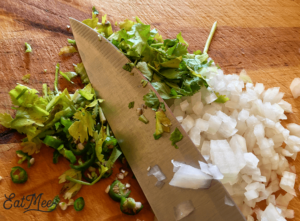 Begin giving this pile of ingredients a brief chopping so that their flavours combine. 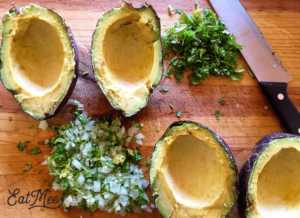 Once chopped, using the back of the knife, start pressing the ingredients back & forth for about a minute, this process is actually mimicking the process of grinding these ingredients in a molcajete which is a large mortar & pestle. Thereafter, sprinkle ½ teaspoon of salt. 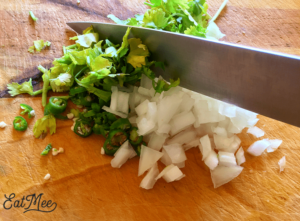 Continue pressing the back of the knife over creating a grinding motion for about 30 seconds. 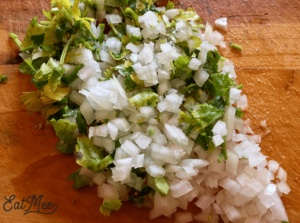 Next, chop the other handful of dhania (coriander) & set aside. 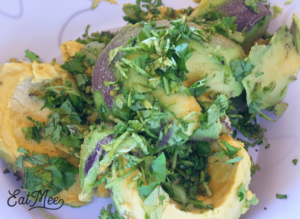 Get the ripened avocados out. 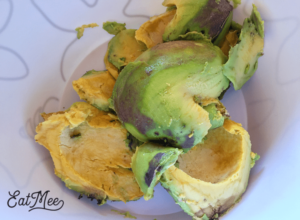 Pull off the top stems & gently slice in the middle going all the way around. 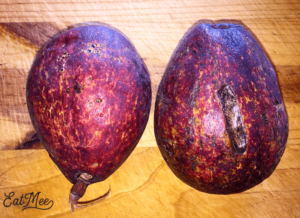 Twist open & remove the seeds. All the hard work is over. Time to get to the fun part. 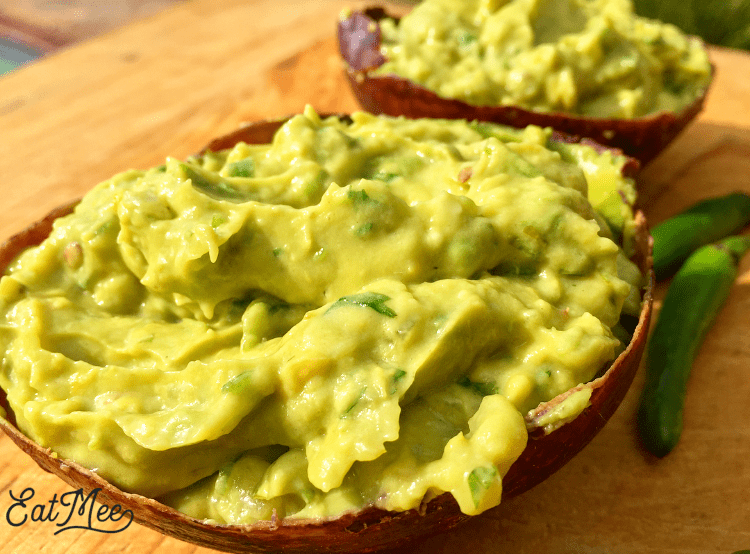 Carefully spoon the avocados out of their peels & into a large mixing bowl. Sprinkle over the remaining ½ teaspoon of salt. 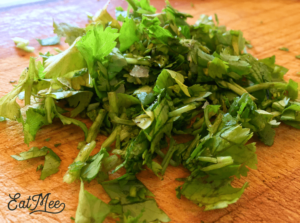 Drop in the chopped dhania (coriander). 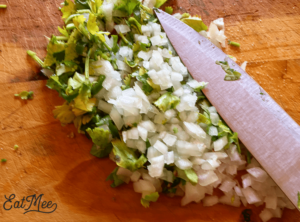 Next, drop in the chopped onion, chilli & dhania (coriander) mix. 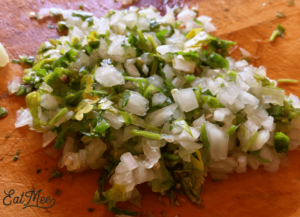 Now pour in the lime juice or lime cordial. I didn’t have lime juice on hand but I found that the lime cordial worked the same way. 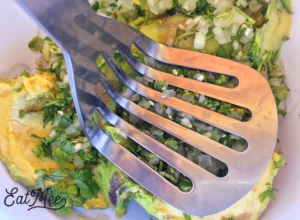 Using a masher, begin mashing the ingredients together until it is as smooth or as chunky as you prefer. 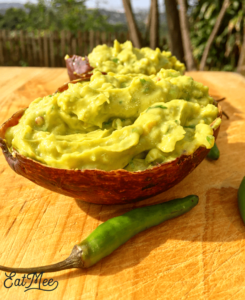 I prefer my Classic Guacamole a little smooth & a little chunky, best of both. 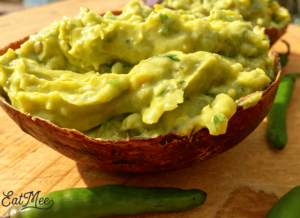 There you have it, the Classic Guacamole is ready to serve. 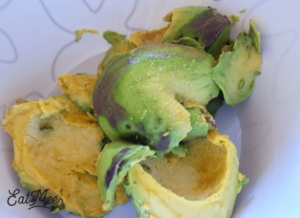 I found that saving the peels of the avocados make really awesome bowls for the guacamole. 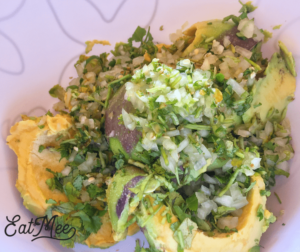 Classic Guacamole can be enjoyed as is or with tortilla chips, meatloaf, tex-mex breakfast cups, gorditas, enchiladas, quesadillas, tortas & many more dishes. Can be stored in the refrigerator for up to a day. It’s best eaten whilst fresh.